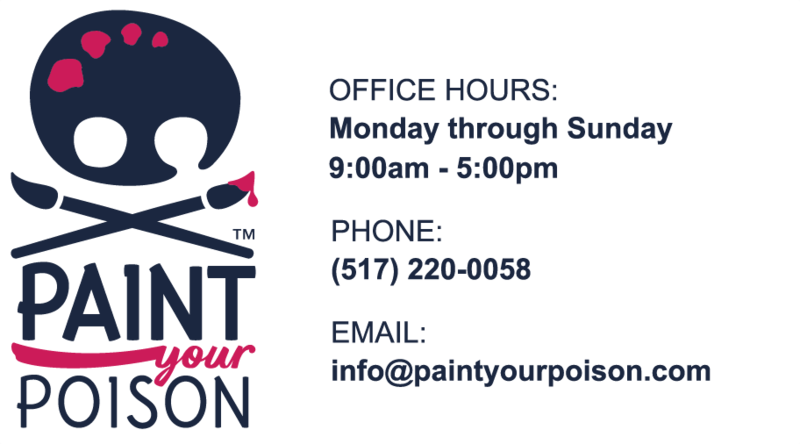 Paint Your Poison is the only Paint & Sip that let’s you customize your painting when you purchase your ticket! We paint on everything from canvas and pallets to wine glasses and grocery totes! We use fun products like Glitter, UV Reactive, and Metallic Paint! Our focus is creating a fun, casual atmosphere to create paintings that anyone can do. Book your event today and we will bring the party to your favorite hangout! Stay up to date on upcoming events and get coupons! We love to host special events at Senior Living Communities so that people of all walks of life can join in on the fun! Hello Neighbor! We are local out of the Greater Lansing Area, so let’s hang out. Thank you for supporting local small businesses! View a list of our regular venues! 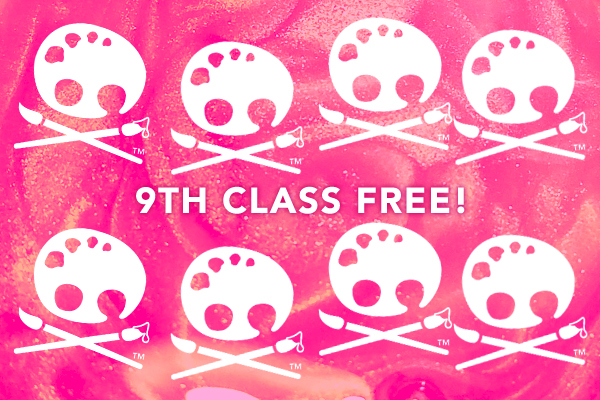 Ask about our Rewards Program at your event to get your 9th Class FREE! No complicated points or rules - it’s a simple loyalty program to show our appreciation. Seating is Limited - Don’t Miss Out! No skill required, anyone can do it! ©2019 Paint Your Poison™ All rights reserved.